Dale A. Hayes, Jr., Esq. Many of the local personal injury firms promote themselves on a “Vegas Born” platform and their care for the community. We have seen these advertisements come and go for 66 years. 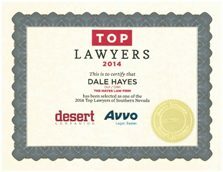 Attorney Dale Hayes was born in Las Vegas in 1952. He graduated from Clark High School and later received his Bachelor’s Degree in Business Administration from the University of Nevada, Las Vegas. Mr. Hayes worked at two of the iconic Strip and Downtown casinos, the Horseshoe and the MGM. After passing the bar, Mr. Hayes immediately began a career in civil litigation representing all of the local casinos he had developed relationships with. 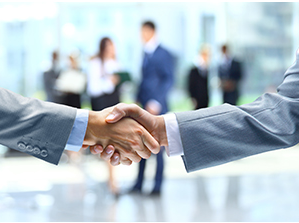 His practice, for decades, focused on both sides of personal injury litigation. 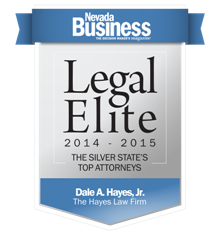 Over the past two decades Mr. Hayes has established himself as a prominent Las Vegas personal injury attorney. 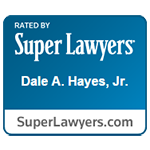 In 2019, Mr. Hayes made the decision to leave his previous firm and finish his legal career with his son, Attorney Dale Hayes, Jr. Dale, also a Las Vegas native, was born at Sunrise Hospital in 1977. Together Dale and Dale, Jr. offer more than a century of experience in professional networks in this great city. 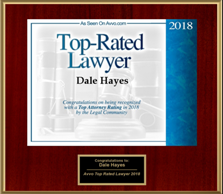 Dale and Dale, Jr. made the decision that they wanted to use their talents to fight for personal injury victims and establish themselves as the best personal injury lawyers in Las Vegas. 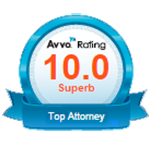 They are the attorneys that other attorneys call for Las Vegas referrals.